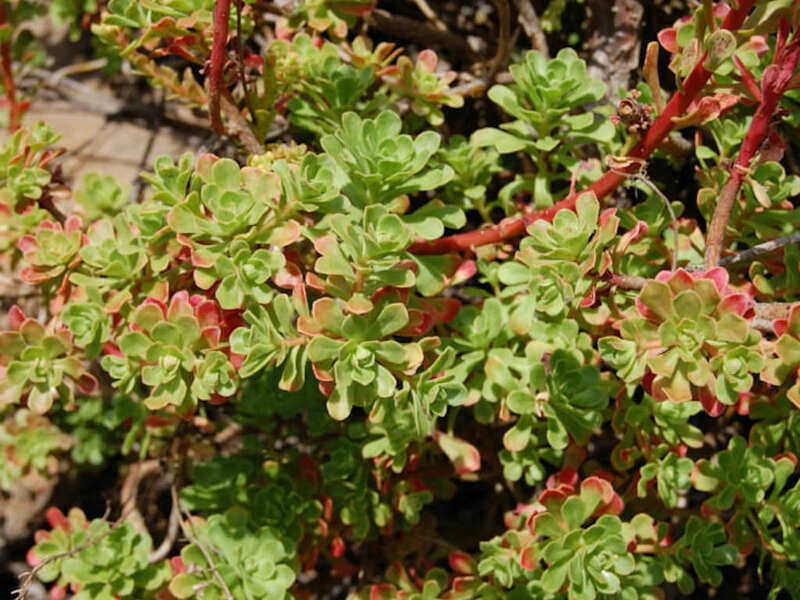 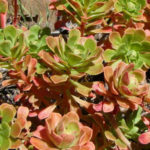 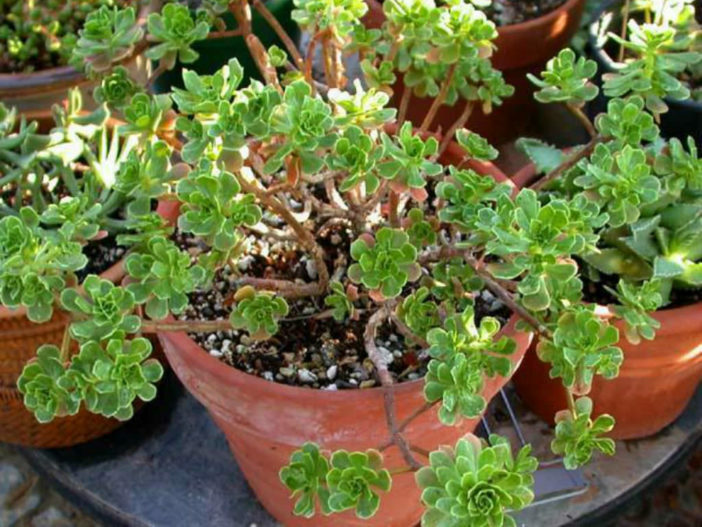 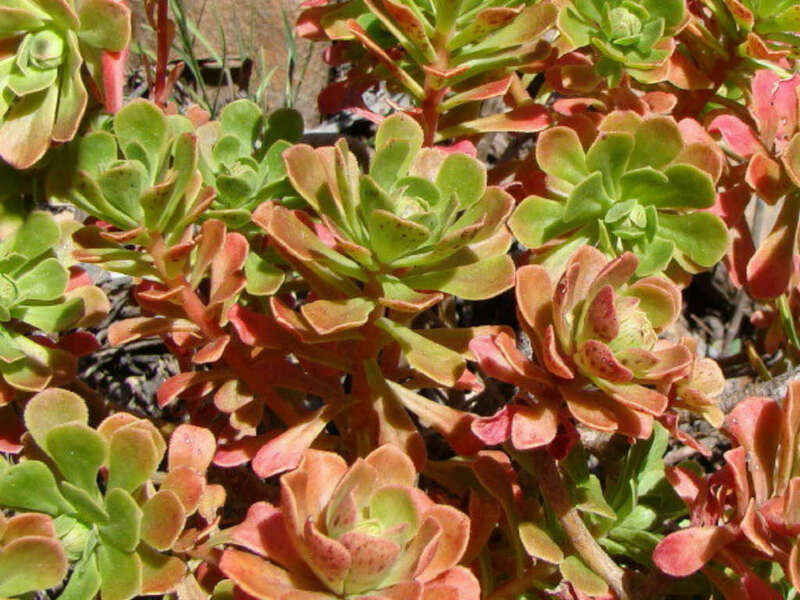 Aeonium spathulatum is a branching succulent shrub up to 3 feet (90 cm) tall, with spoon shaped leaves up to 1.2 inches (3 cm) long, that are slightly sticky to touch. 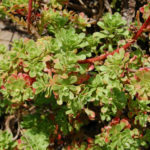 It will go slightly red in color when exposed to strong light and will flower within a few years. 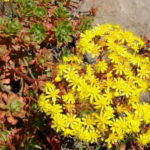 The flowers are star-shaped and golden yellow in color. 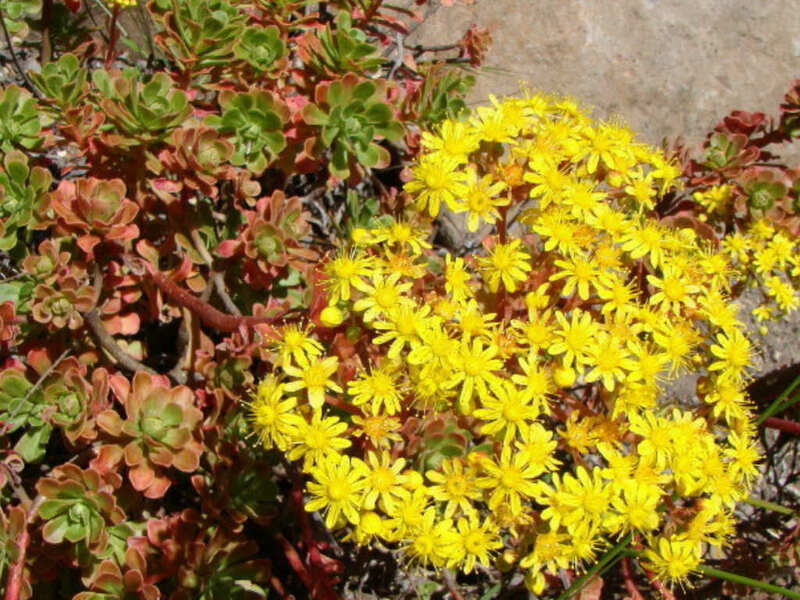 Native to Canary Islands (La Palma, Tenerife, La Gomera).